A high gloss two-component yacht paint with excellent outdoor durability and weather resistance. Scratch resistant and very long gloss retention. Provides a perfect flow and easy application by brush, roller or spray. Field of Application: GPR - Steel - Wood - Aluminium: Suited for topcoating two-component primer systems above the waterline. Also suited for epoxy resin treated surfaces. Can be applied directly on thoroughly degreased and sanded fibreglass. Intermediate coat on epoxy resins or epoxy paints prior to the application of traditional one-component paints. 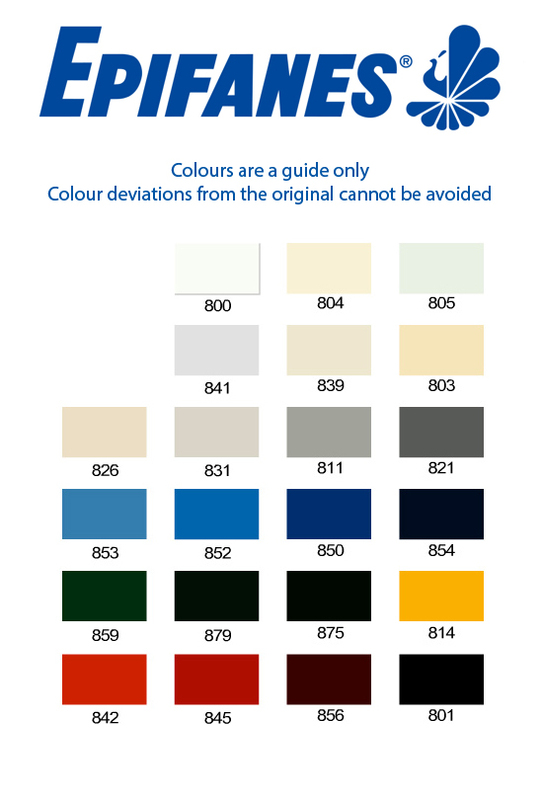 Additional colours are available on request, please contact the office for more information.